Williams is noted as volunteering to serve with the Imperial Commissariat Transport Corps in New Zealand during the period 1863-64, and is recorded as being a'Butcher', and is recorded in the following contemporary 1871 published roll confirming his entitlement to the New Zealand War Medal. 9: Roll of Non-commissioned Officers and Men of the Local Forces who volunteered for Service with the Imperial Commissariat, and who were employed and paid by the Imperial Government during the Military Operations in New Zealand, and who are therefore entitled to the New Zealand War Medal. The crucial role and service of the soldiers who served in the Imperial Commissariat Transport Corps in New Zealand during the Waikato and other campaigns during 1863-66, is often over looked or ignored, but is highlighted in the book. Blood Brothers: the Anzac Genesis. (Auckland, NZ: Penguin Books, 2009). Military Stores and the New Zealand Commissariat Service. The sheer volume of military stores flooding into New Zealand during 1863-64 necessitated a vast commissariat network to deal effectively with the requirements of the expanding imperial and colonial war machine. Emphasising this complex infrastructure, the Mercury on 26 March 1864 reported that few in Australia? Are aware of the magnitude of the Military Store Department in Auckland? The large reinforcements of troops that have been received have of course necessitated a commensurate supply of munitions of war, and the Military Store becoming inconveniently crowded, it was found necessary to erect new buildings? Fort Britomart, is the grand depot for these supplies from which they are distributed over the country, as the exigencies of the war may demand. It may well be imagined that the duty of issuing these stores is a very onerous and important one? In assessing this logistical component of New Zealand? S commissariat organisation, it is important to remember the contribution of the men who enlisted for service as military settlers, both in New Zealand and the Australian colonies. 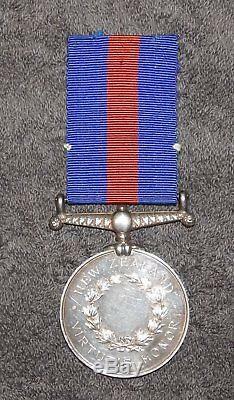 Many of these were to provide a vital, yet generally unrecognised service, to the overall war effort as volunteer personnel in the Imperial Commissariat. Examples of Australian enlisted military settlers who saw service in the Imperial Commissariat are Jacob Cheshire and Henriques DeLeon. Jacob Cheshire enlisted in the 2nd Waikato Regiment in Sydney on 11 September 1863. In New Zealand he also served in the 3rd Waikato Regiment, and from this unit, volunteered for service with the Imperial Commissariat Transport Corps. After military service, he had a varied career in New Zealand and then later Queensland, when he and his family finally moved to Inglewood in 1884. Henriques DeLeon enrolled in the 2nd Waikato Regiment in Sydney on 21 August 1863. In New Zealand he served with the 2nd Waikato Regiment until January 1864, when he transferred into the 3rd Waikato Regiment, before again transferring into the 1st Waikato Regiment in February 1865. 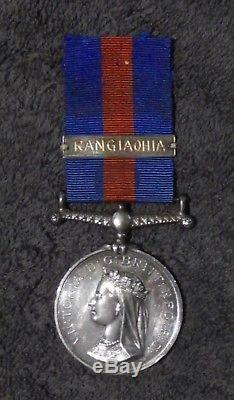 Whilst serving in the 1st Waikato Regiment he volunteered for service with the Imperial Commissariat. After his military service De Leon embarked on a career in education (specialising in languages) firstly in Otago, briefly in Melbourne, and later in Hobart. To try and see early action, or to escape the mundane routine of redoubt life and the garrison duty most military settlers found they faced upon arrival in New Zealand, some Australian recruited military settlers applied to join the Colonial Defence Force cavalry. Similarly, small numbers transferred to the Forest Rangers, while the largest number volunteered for service with the Imperial Commissariat Transport Corps. Volunteering for service in the Imperial Commissariat Transport Corps was a common option for men of the four Waikato regiments. This was especially the case with the 3rd Waikato Regiment, which had at least 616 officers and men from its total compliment volunteering for duty with the Imperial Commissariat. From assessment of New Zealand government papers it seems that a total of 1942 colonials (excluding British Army or Royal Navy personnel) served in some role as part of the Imperial Commissariat Transport Corps, and of these, approximately 1397 came from the four Waikato regiments. The logistical aspect of the wars was of crucial importance to military operations. Without the exertions of this corps, the combat troops and various garrisons and redoubts, could not have been effectively armed, clothed and fed under some of the most trying physical conditions. Australian derived men such as Cheshire and DeLeon served in a role usually not glamorous, sometimes monotonous or arduous, and often not seeing combat, but nonetheless were extremely important to the overall success of the various campaigns. This force was sometimes referred to as the? As well as earning the nickname of the? 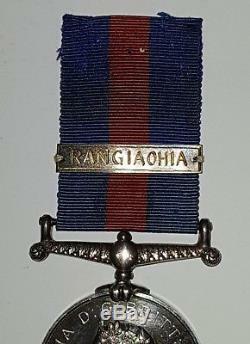 1: Papers Relative To The Issue of The New Zealand War Medal: No. 3: Enclosure 4 in No. Appendix to the Journals of the House of Representatives of New Zealand: Vol. II: 1871 ; also in The New Zealand Gazette , No. 31, 31 May 1871, pp. Hopkins-Weise, Blood Brothers: The Anzac Genesis (Rosedale, North Shore, New Zealand: Penguin Books, 2009), pp. Cheshire later became Postmaster at Inglewood, and died in 1898. Barton, Australians in the Waikato War (North Sydney: Library of Australian History, 1979), p.
71; & Interview and information gathered by this author from Dorothea Cheshire, grand-daughter of the NZ war veteran & medal recipient, Jacob Cheshire, 3rd Waikato Regiment, Brisbane, December 1995 & June-July 1998. Also as Henri/Henry De Leon, & Henry Strode Henri. Robin Barker,'The Henri Letter: Part One'. (29 November 1993); &'The Henri Letters: Part Two'. This genealogical history on Henry Strode Henri & the history of the Henri Family, courtesy of Ben Henri, of Ascot, Brisbane, to this author in October 1995; & also refer to, Barton, op. Henry Strode Henri (also as Henriques DeLeon, & Henri/Henry De Leon) became a Professor of Languages, and died in South Brisbane, Queensland, in 1925. 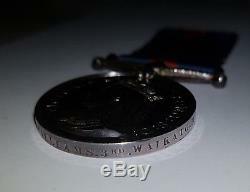 1: Papers Relative To The Issue Of The NZ War Medal: Enclosure 4 in No. Appendix to the Journals of the House of Representatives of New Zealand. Hopkins-Weise,'A History of the Colonial Defence Force (Cavalry): and the Australian Context', The Volunteers , Vol. S Colonial Defence Force (Cavalry) and its Australian Context, 1863-66? Glen, For Glory and a Farm (Whakatane: Whakatane & District Historical Society, 1985). 3: List of Officers and Men of the Local Forces, and Civilians, in NZ, who were employed in the Imperial Transport Corps, and paid from Imperial funds, entitled to the NZ Medal'. 1; & also in, The New Zealand Gazette , No. The Journal of William Morgan (Auckland: Libraries Department, Auckland City Council, 1963), for references to'Mokes' refer to, pp. 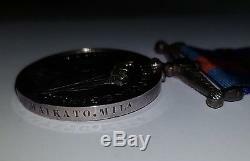 The item "NEW ZEALAND WAR MEDAL, UNDATED TYPE, WITH UNOFFICIAL SILVER'RANGIAOHIA' BAR" is in sale since Monday, December 10, 2018. 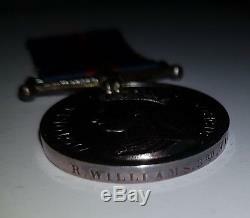 This item is in the category "Coins\Exonumia\Medals". The seller is "mush-head66" and is located in Dayboro. This item can be shipped worldwide.